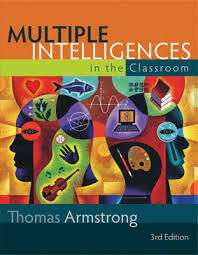 Educators will review the basic theory of multiple intelligences by Howard Gardner and its relationship to learning theory as applied to students in classroom settings and school environments. Teachers will read and learn about MI in curriculum development, classroom management and student assessments for classroom applications. Students will examine the practical applications of multiple intelligences for the elementary, middle school, and high school levels. Multiple Intelligence strategies will be explored for cognitive skill development, special education and other subject area applications. Teachers will analyze existential intelligence and other examples of MI lessons in elective classes and vocational programs for career development.